Did you know, the Christmas season begins with your first Christmas pie? You didn't? Neither did I, because I think I just made that up. 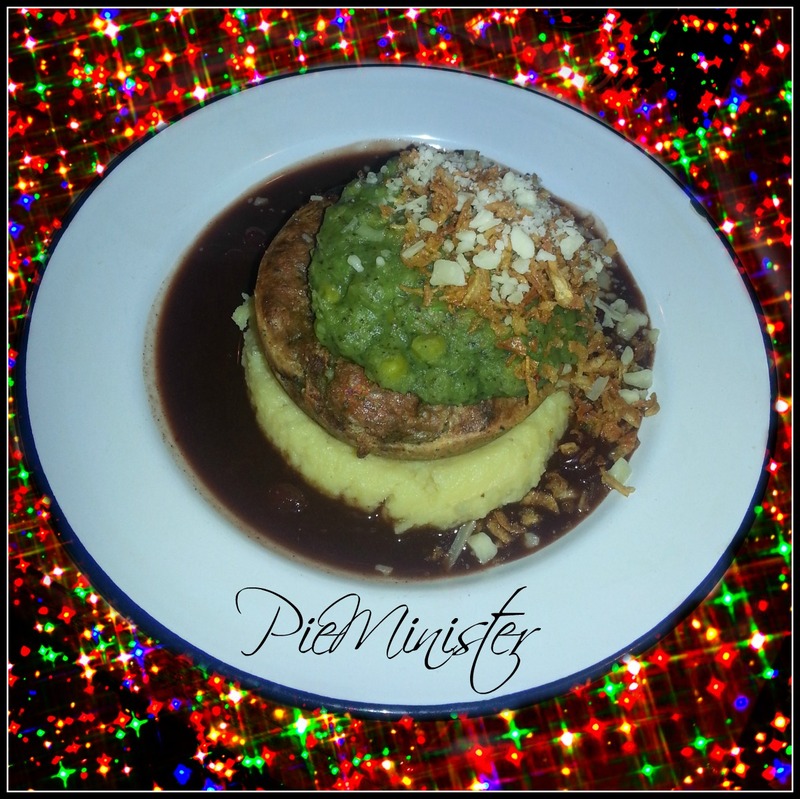 I might make it a Christmas tradition though, because when I met up with some fellow bloggers in Bristol recently, the arrival of the Pieminister Christmas pies had us all feeling decidely Christmassy. We went along to St Nicholas Market to enjoy our pies and it was bustling with people and excitement, anticipating the Christmas lights switch on. There was even a rooftop band. 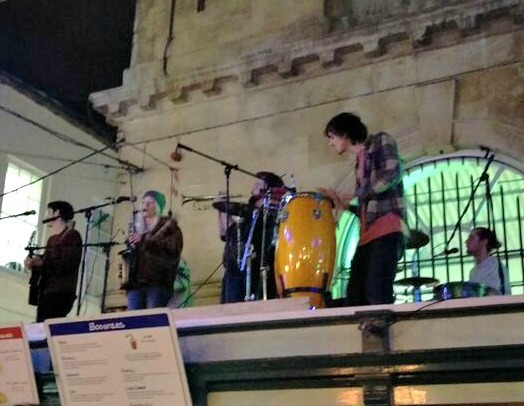 I swear, only Bristol could have a market so small, you have to put your live band on a roof! To model an example of the Christmas pies, I bring you Tara, from The Style Rawr, who, in true Fashion Blogger style, really knows how to rock a selfie! 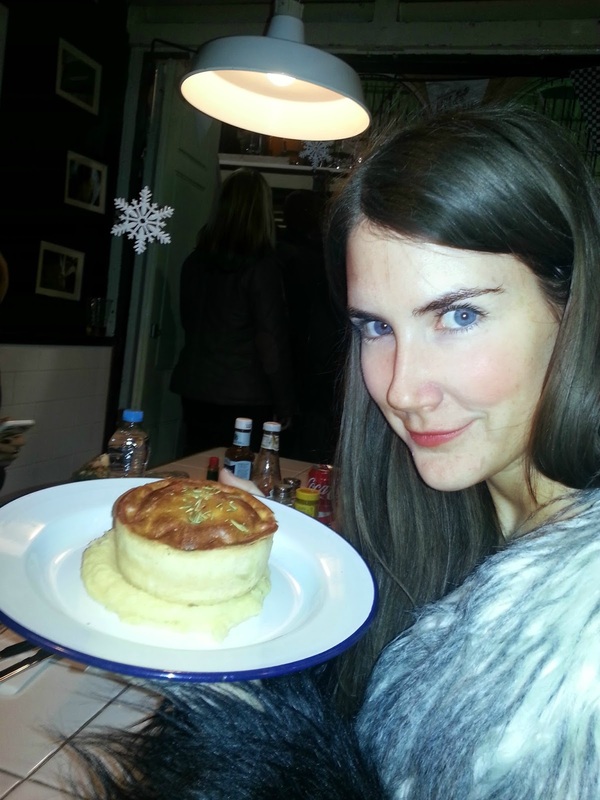 The point of the exercise was to try out the delicious new Christmas range at Pieminister and, as always, they didn't disappoint. This year, the range consists of ; Christingle, a Vegetarian Society approved cheddar and chestnut, with roast parsnip, Mistle Moo, a British beef and stilton, with chestnuts, British bacon and port, and Deer Santa, Which is British venison, British dry cured bacon, red wine and green lentils. I opted for the fourth option, though, which is basically Christmas dinner in pastry. I like to think it's for the elf-on-the-go, who doesn't have time to sit down for the work's Christmas meal. It is called Three Kings and it contains British Kelly Bronze turkey, British free range smoked bacon, parsnip and cranberry. Everything that's great about Christmas dinner, without the sprouts. Bonus. In typical Pieminister style, this opened-topped pastry-clad deliciousness was served with the trademark minted peas, along with a garnish of West Country cheddar and crisp shallots. The gravy, incase you were wondering, is cranberry and port. 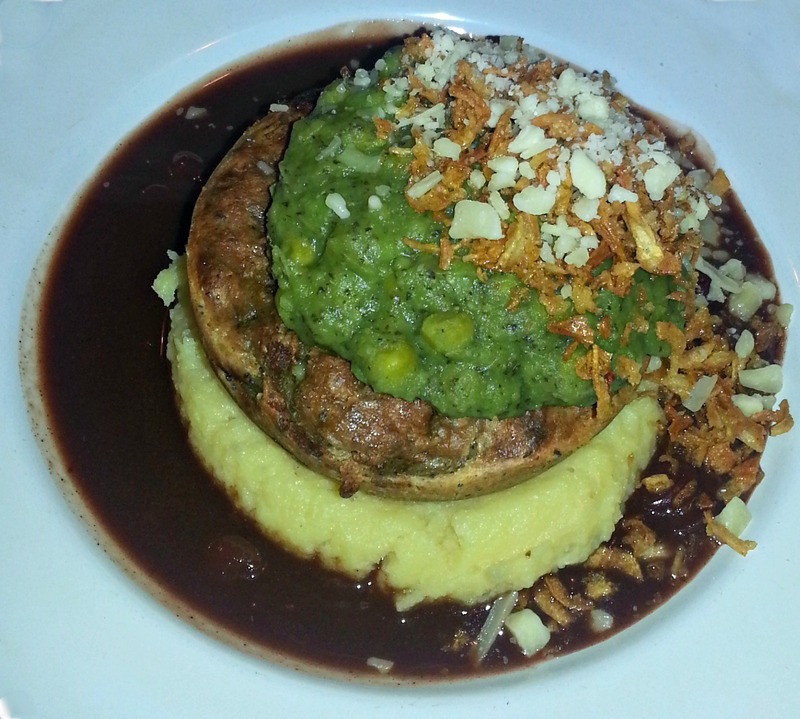 Oh yes, if you thought they had missed the port off the Christmas menu, you would be wrong. It's there, in that little gravy moat. As well as paying a visit to Pieminister's Stokes Croft hangout, you can also buy these pies in Waitrose and independent retailers. Christmas dinner just got portable. 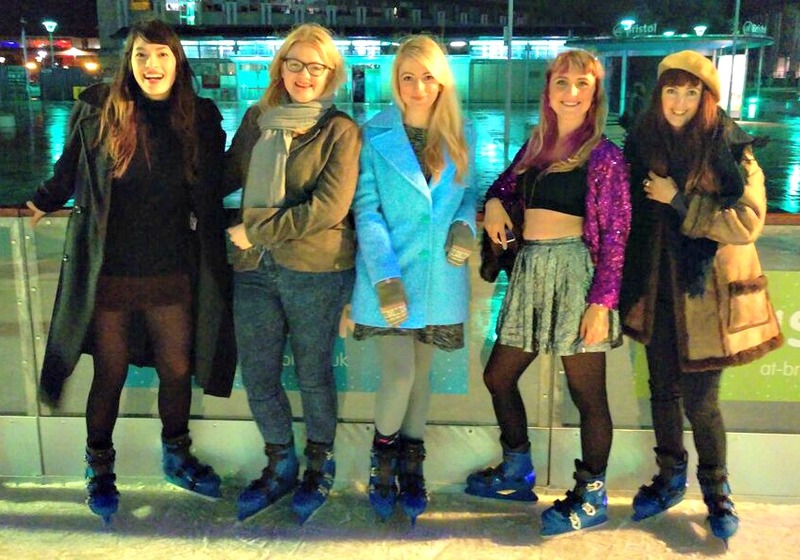 After a fiercely contested pie eating contest, what better than a brisk hike across town to the At-Bristol ice rink for some skating? [Pass the Rennies] The rink looked fantastically festive, surrounded by twinkling lights and... well, drizzle, but it looked a bit like snow, if you squinted a lot! Staying upright and posing, nice job! This was such a fun evening and I really hope I get invited on the next trip. With thanks to Victoria, from She and Hem, Sophie, from Saints on a Plane, Hayley from Bonjour Blogger!, Dulcie from La Dulcie Vita, Amie from Credit Crunch Chic and, of course, Tara, for a fantastic evening. Hope to see you all again soon! If you are looking for fun things to do in Bristol, Visit Bristol has all the best attractions and venues, as well as events and competitions too.